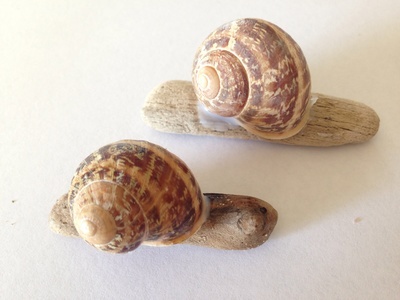 Make your own snail pets using old snail shells you have collected. 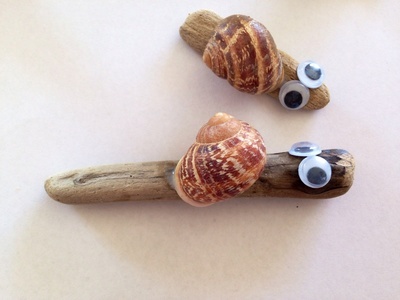 We used small pieces of driftwood for the snail bodies, however you could use small twigs, small seed pods or mini popsicle sticks instead. 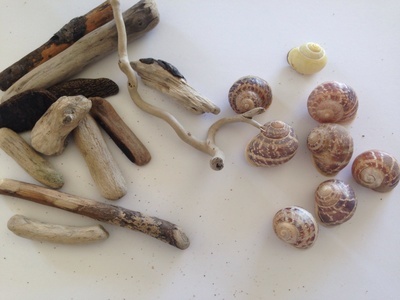 Small pieces of driftwood - or seed pods, mini popsicle sticks or small twigs. 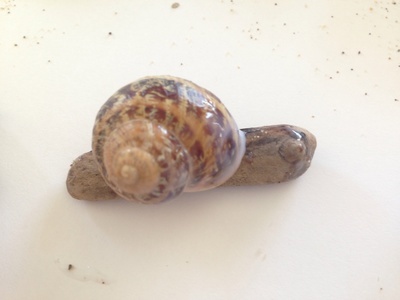 Apply plenty of PVA white glue onto the top of the snail's stick body and shell. Press the snail shell onto the body. Glue on googly eyes if you wish, or leave plain. 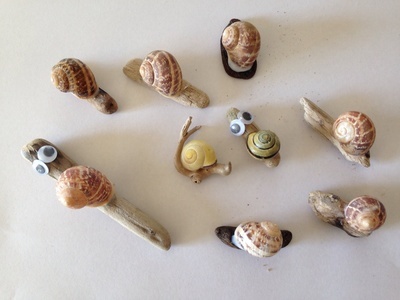 Create lots of little snail friends. 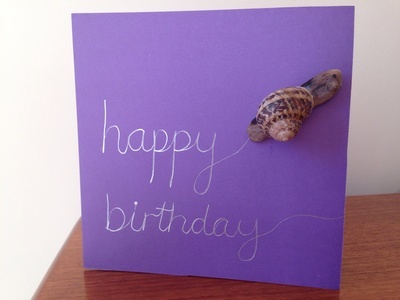 You could glue a snail onto a blank card and write "Happy Birthday" like a snail trail with a silver pen to make an unusual birthday card. Try reading The Snail and the Whale by Julia Donaldson as a fun extension.